“Happier” describes Ed’s mindset after learning that a girl he recently broke it off with has already found a new man. The theme of the song is about looking back at an early relationship, and that despite being initially angry and bitter at the breakup, later come to realise that his first love was happier with someone else. He said: “I remember the first girl I was with, that the first and most of the second album was about, that I was with from school. And I remember the guy she was with, meeting him one day and being like, he is so much suited to her than I ever was”. 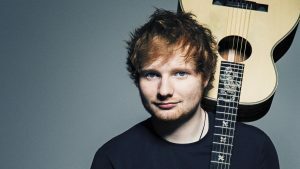 “Happier” is a song by English singer-songwriter Ed Sheeran. It was included on his third studio album ÷ (2017). “Happier” was written in the key of C major with a tempo of 90 beats per minute. Taylor Weatherby of Billboard described it as the “most heartbreaking track” and “perhaps one of the prettiest songs” on the album.